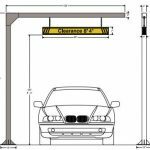 Over Height Clearance Bars | Garden State Highway Products Inc. Call Now! Over Height I-Bar clearance signs will help you regulate and bring order to your parking lots. 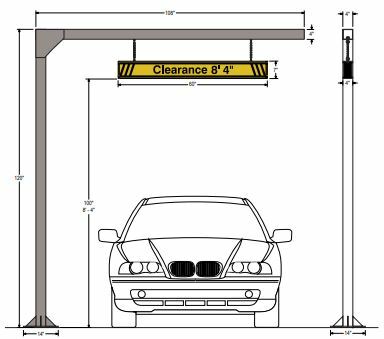 The free-hanging over height clearance I-Bar is an ideal way to alert motorists to clearance height restricted areas or provide overhead way finding directions and lane designations. Our sleek over height clearance I-Bar design, with the EasyGlide Adjustable Eye Nuts, makes installation simple and flexible. Simply slide the eye nut spacing to your needs, tighten and hang. Features high-performance reflective vinyl graphics for superior night visibility. These are idea for parking garage entrances, transitions between parking decks, overhead door openings, apartment buildings, car washes, and under drive-thru canopies. 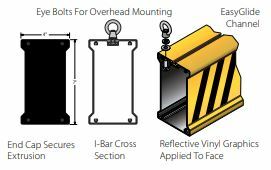 We offer height bars by Signal-Tech at competitive pricing to help you save money and improve safety. Call 800.338.5685 to speak to an Account Executive today! Custom sized aluminum Panel System. Designed for free hang or fixed mounting. Built for outdoor or indoor use. Choose a complete sign with factory applied vinyl graphics or a kit that includes a blank message panel with mounting and you supply the graphics. Comes complete and ready to install with factory applied graphics. Available with either free hanging eye nuts or a fixed mounting bracket, single or double-sided black reflective vinyl graphics. Custom vinyl and paint colors available.